When a person comes down with a cold, they would most likely reach into their medicine cabinet and grab for a bottle of ibuprofen. For others, especially those suffering from a debilitating medical condition, being on prescription painkillers can become a way of life with a nasty slew of side effects. However, there is a natural alternative to these prescribed drugs – cannabis. Weed has earned a less than stellar reputation as an addictive drug but, in actuality, has a multitude of health benefits that could offer some much needed hope (and relief) to many dealing with ailments and other conditions. Nausea – patients who undergo chemotherapy deal with a nasty side effect which is nausea. However, the THC found in cannabis can subside this symptom and provide much needed relief. Even the National Comprehensive Cancer Network recommends its use to chemo patients. Multiple Sclerosis – people with this condition suffer from stiff muscles, muscle spasms, and interruptions in sleep and walking. However, THC and CBD found in weed can provide much needed relief considering its ability to relax the muscles and aid in sleep. Anti-carcinogenic – research studies have shown that CBD found in mary jane has shown the potential to kill cancer cells. It does this by making the gene responsible for the spread of cancer cells dormant called ID-1. Arthritis – Those with rheumatoid arthritis suffer from inflammation, insomnia, and general pain. Marijuana has anti-inflammatory properties as well as the ability to act as a sleep aid. As well, if a person uses THC, it can induce some psychoactive effects which could aggravate anxiety and paranoia. However, if you want to avoid this, you can always opt in for CBD instead. It still provides the same health benefits without the psychoactive effects of THC. Many research studies and clinical trials have already been published regarding the potential health benefits of cannabis. One institution that has taken an interest in testing the use of medicinal marijuana is the National Cancer Institute. According to their research, they state that pot has been shown to kill cancer cells in the lab and has benefits of treating symptoms of cancer and side effects of cancer therapy. In another scholarly journal article, 49 different studies were analyzed on CBD’s role in treating anxiety disorders. What they discovered was that CBD did, in fact, reduce anxiety behaviors across multiple disorders without anxiogenic effects. Those who use medical cannabis have an array of choices in how to take it in. They can smoke it, eat it (edibles), vape it, dab…the list goes on. While research has shown that mary jane is beneficial to lung health, it would be wise to consider, rather, vaping with a vaporizer for cannabis instead. Smoke, whether from tobacco or pot, can have negative effects especially when the material is combusted. In the case of vaping, you avoid those harmful chemicals since you only inhale the good stuff from your cannabis of choice and vapor. As well, you get the awesome benefits from your THC or CBD much faster from a vape and you get the perk of portability, ease, and less mess. Taking painkillers isn’t necessarily a bad thing as it does provide the relief that those with chronic conditions deal with. However, there is a natural alternative that doesn’t come with a long list of nasty side effects which is a good dose of bud. It has qualities that combat various symptoms associated with conditions like PTSD, arthritis, cancer, and depression. It has anti-inflammatory benefits, is a sleep aid, acts as a muscle relaxant, and calms those with anxiety. 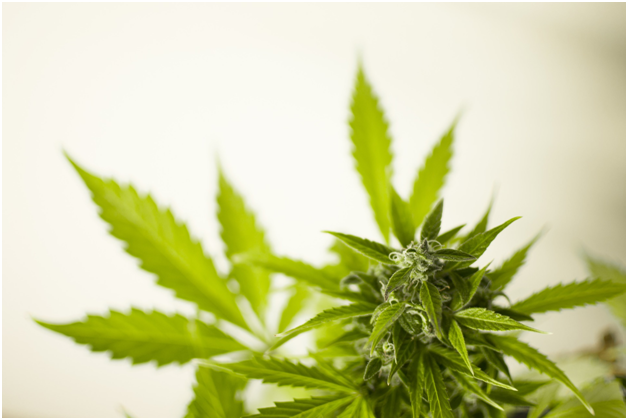 While there has been a multitude of research studies and clinical trials conducted on medicinal marijuana, there isn’t any concrete evidence and most will say more research needs to be done. If you decide to use, give vaping a try as you avoid all of those harmful chemicals that would be released from combustion when smoking and it delivers the goods much quicker as well.